So I made the rooky error of installing Windows 10 with more than one hard drive installed, and now the computer needs both hard drives inserted in order to boot windows 10. This would be fine normally, but the other drive contains a mac OS, so I would prefer that Windows did not use it to boot from. As you can tell I'm a complete noob, so I need step by step instructions. 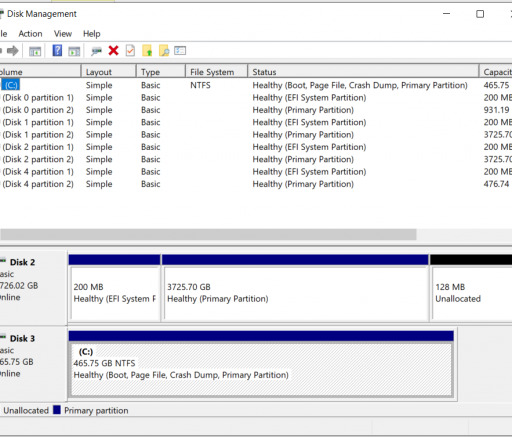 I know I need to create a partition on the disk with my windows OS installed, then use easy bcd to to move the boot files, from the other disk, to the new partition. Please DO NOT just give me a link to this documentation. If it had all the info I needed, I wouldn't be here. When I select change boot drive I get the error shown in the second screen grab attached. Please can someone walk me through how to prepare the disk for loading the boot files and then use easy BCD to move the boot files and then delete from the other disk? 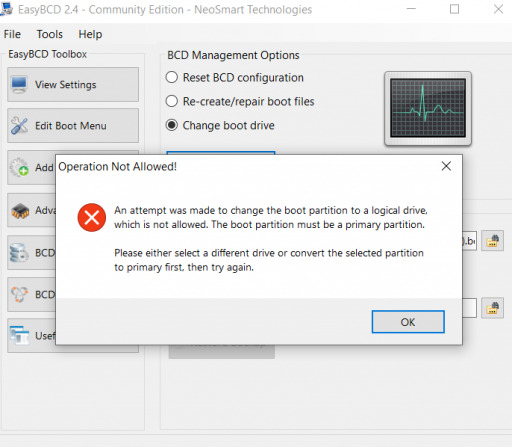 It seems that this problem is very common, but the reason why I'm asking for a step-by-step guide is because all the other answers I can find online usually involve someone posting to the easy BCD documentation and then saying something to the effect of "make the drive active, primary, shrink, and create a partition" - I need to know HOW to do those things. If we can document a step by step process here, then maybe we can help other people in this situation without them having to make their own threads. The problem you have is that that function of EasyBCD applies to BIOS/MBR PCs and pre-dates the existence of UEFI. 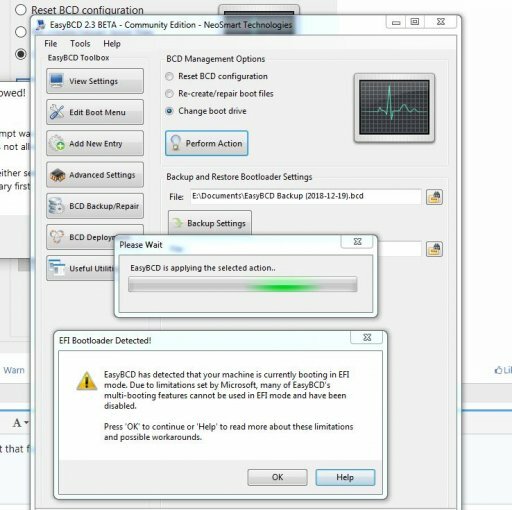 You could raise a bug report to that effect in the appropriate forum, or alternatively, request an improvement in a later version of EasyBCD to include this ability for UEFI PCs by a thread in the "Ideas and Wishlists" forum for the author's consideration. Why it's talking about logical partitions I can't tell from your posted screenshots. You appear to have 5 drives mounted in the top window but are only showing two in the bottom. None of your partitions are labelled, only one has a Windows letter assignment, and none of them are logical drives, so I assume you are targetting drive C for the "change..." attempt as you can't address any other partition. That is already primary anyway. I just clicked OK on my UEFI PC to that message above, and EasyBCD went ahead and created a whole new set of boot files on my spare partition, but I imagine if I tried booting from that location it would get horribly confused, since the BCD copy it has created would attempt to load .efi versions of Winload using a non-UEFI bootmgr. 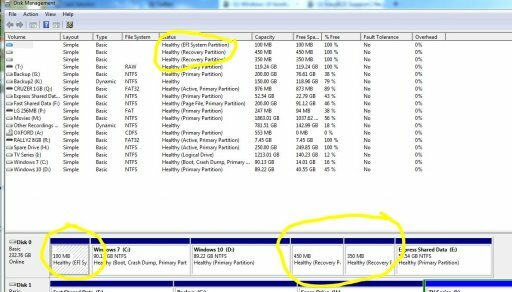 I am also mystified by the presence of four EFI system partitions and no EFI recovery partitions. How exactly did you install this copy of Windows on a UEFI PC without it creating the mandatory partition set ?